Australia is becoming more unequal and Australia’s wealthiest people don’t seem to want to do anything about it, writes Bronwen Dalton and Elizabeth Cham from the University of Technology in this article that first appeared in The Conversation. 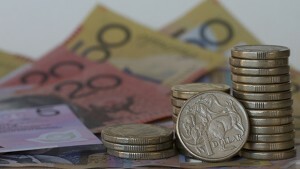 Opinion: Australia is becoming more unequal and Australia’s wealthiest people don’t seem to want to do anything about it, writes Bronwen Dalton and Elizabeth Cham from the University of Technology in this article that first appeared in The Conversation. About 40 per cent of Australia’s wealthiest are likely to be engaged in minimal – if any – giving. The most recent tax figures show that of those earning more than A$1 million per year, 37 per cent did not claim a single dollar of tax-deductible charitable giving. There is a strong case for reform of Australian philanthropic accountability, given the sector’s privileged taxation position. More concerning, the lack of publicly available data inhibits the Not for Profit sector from accessing these funds: money that could potentially alleviate the worst excesses of Australia’s rising inequality. About the authors: Bronwen Dalton is a senior lecturer at the School of Management at University of Technology Sydney. Elizabeth Cham is an honorary fellow at UTS Business School at University of Technology Sydney. Cham is also a director of the Australia Institute.